Weight: 255 grams, shipping calculated at checkout (more details). 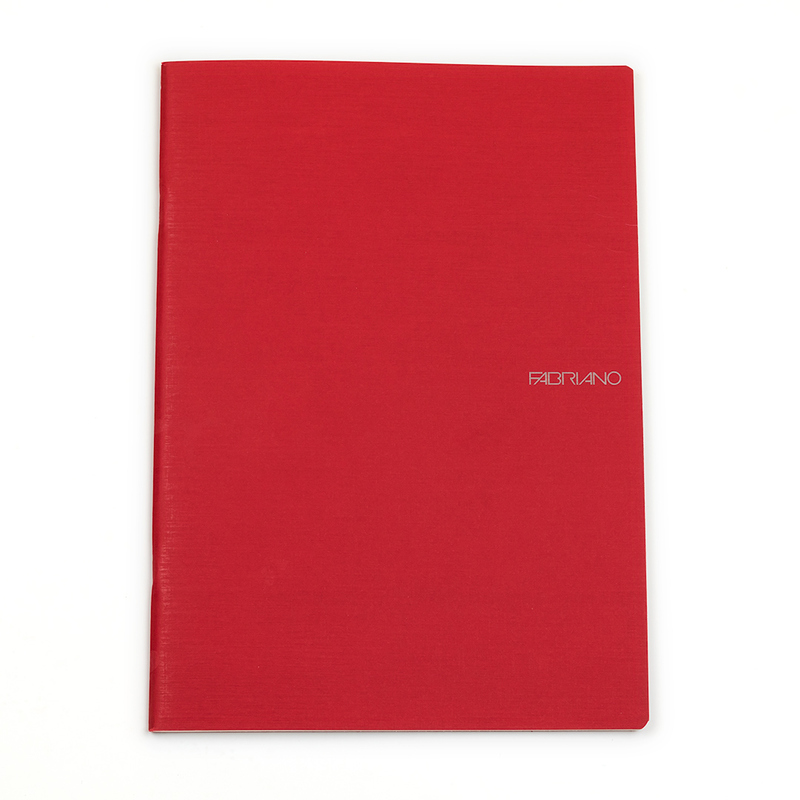 Fabriano EcoQua series of notebooks and journals uses Fabriano Bioprima Book 85 g/m² paper. It has a very subtle texture and pale ivory color that doesn&apos;t interfere much with the color of any ink you would put on it. 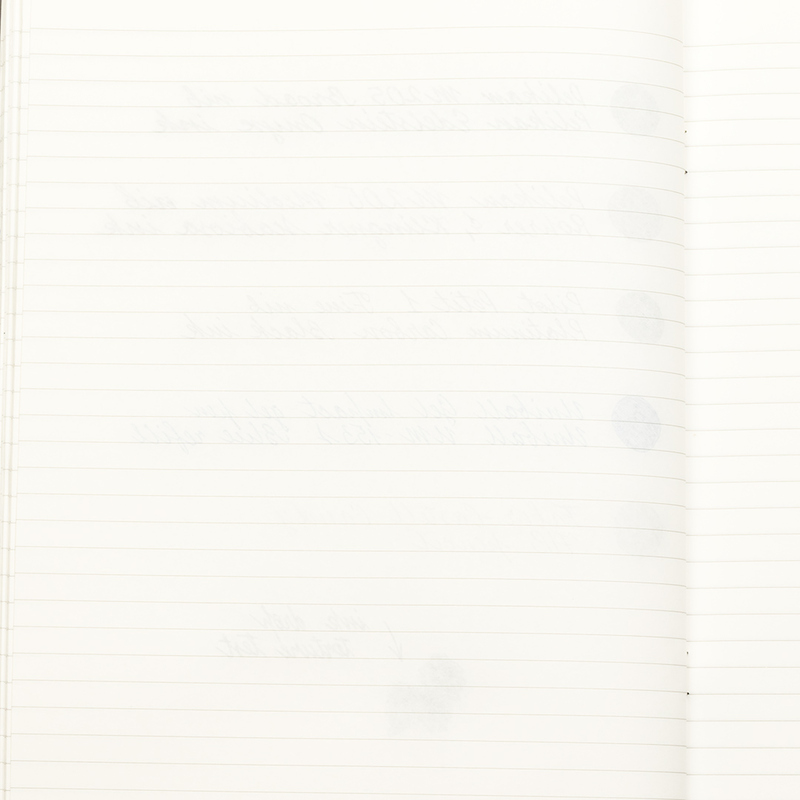 Lines are printed in light gray and practically disappear once you fill a page. 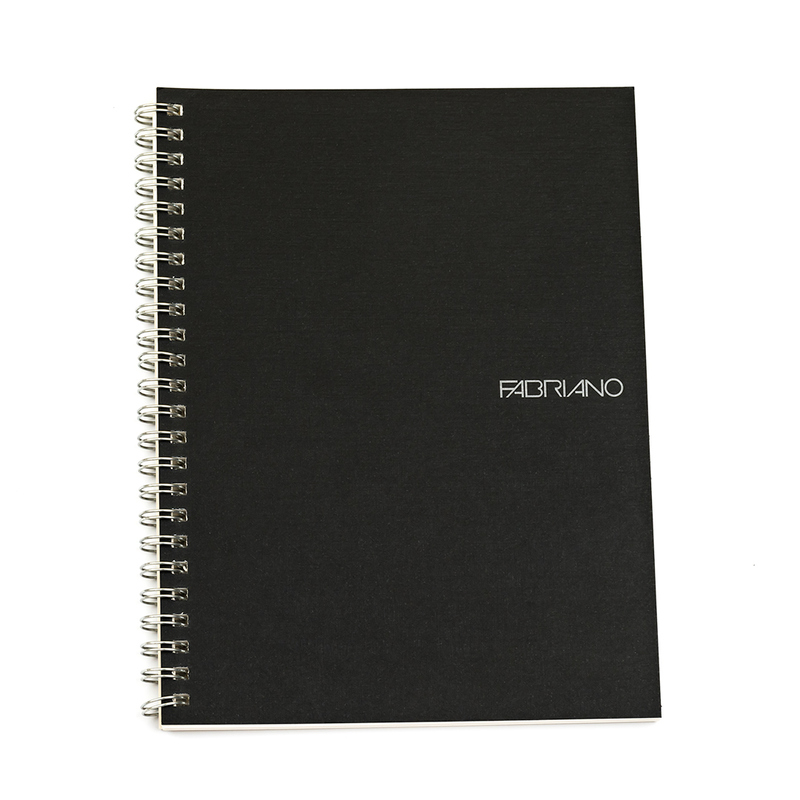 Being just a fraction heavier than a common office paper, Bioprima Book is perfectly fountain pen friendly. It doesn’t allow even the wettest of inks to “feather”, catching the paper fibers. You will be able to use both sides of a sheet, unless you are using a dip pen or literally pouring ink on a page. All EcoQua series books are made in Italy. They come in different sizes, rulings, and bindings. 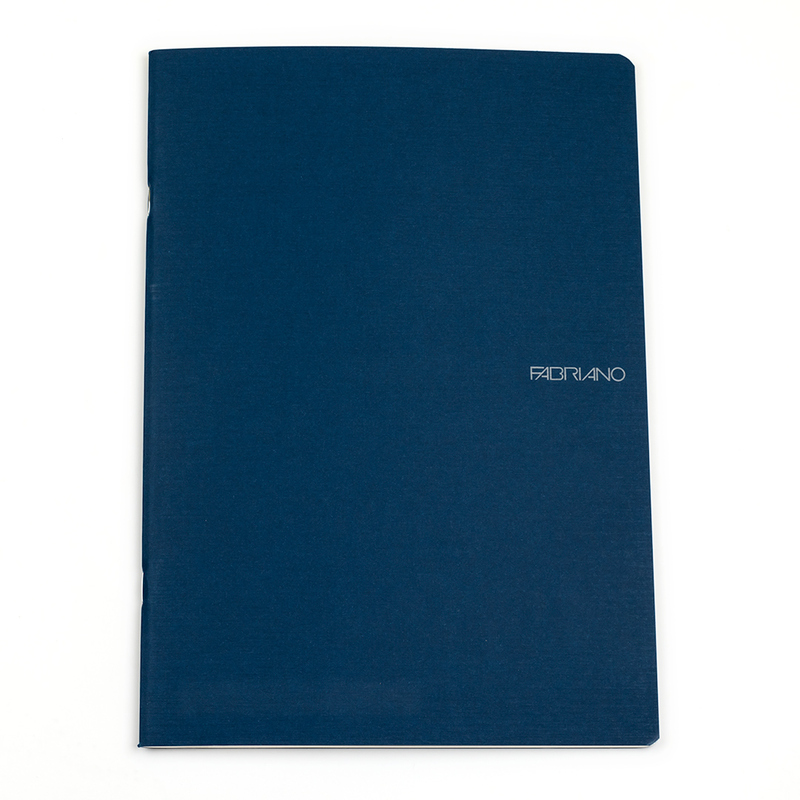 This notebook is a standard DIN A4 size — 210 mm (8.27 inches) wide and 297 mm (11.69 inches) long. Neatly stacked the notebook is no thicker than 5 mm. It is lined with thin pale gray lines, with 8 mm spacing between them. You can use 31 lines on each page. 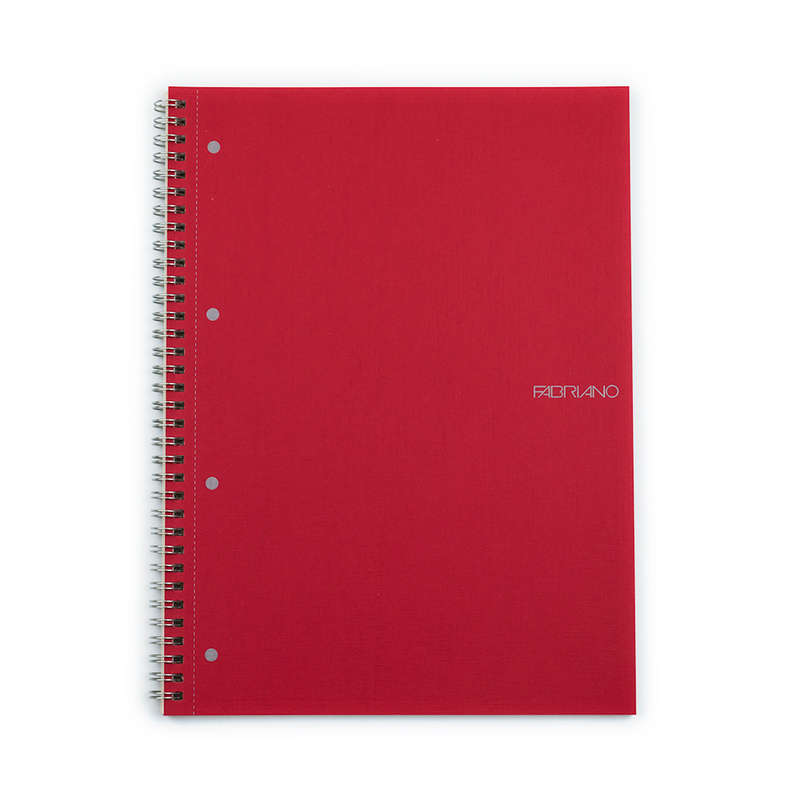 The notebook is bound with two metal staples. 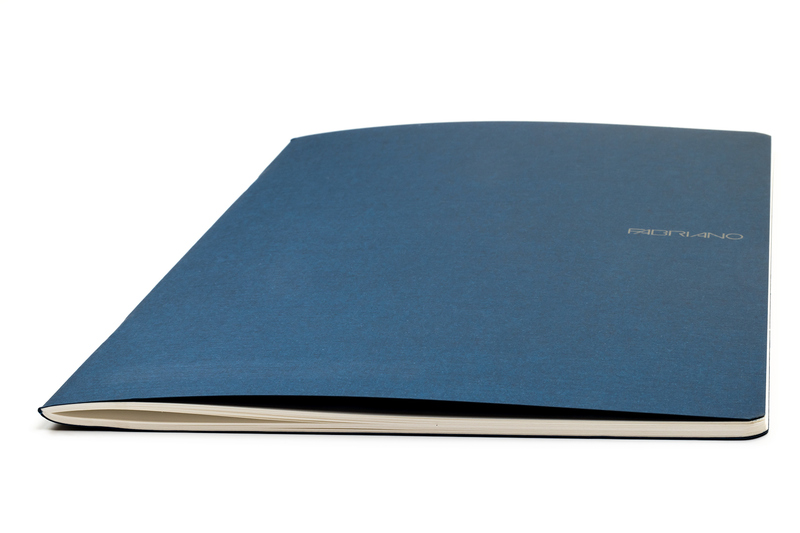 The cover is made of a lightweight but sturdy card stock. 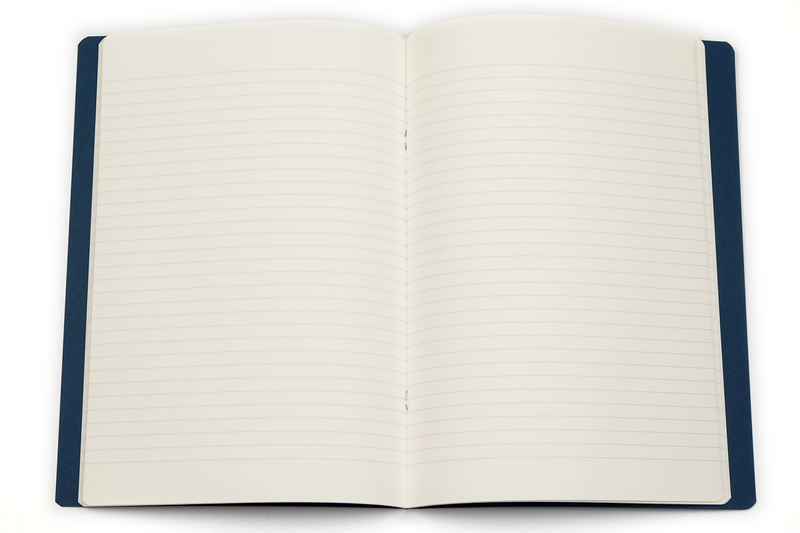 Once broken in the notebook will lie perfectly flat on a table. Available in eight cover colors. 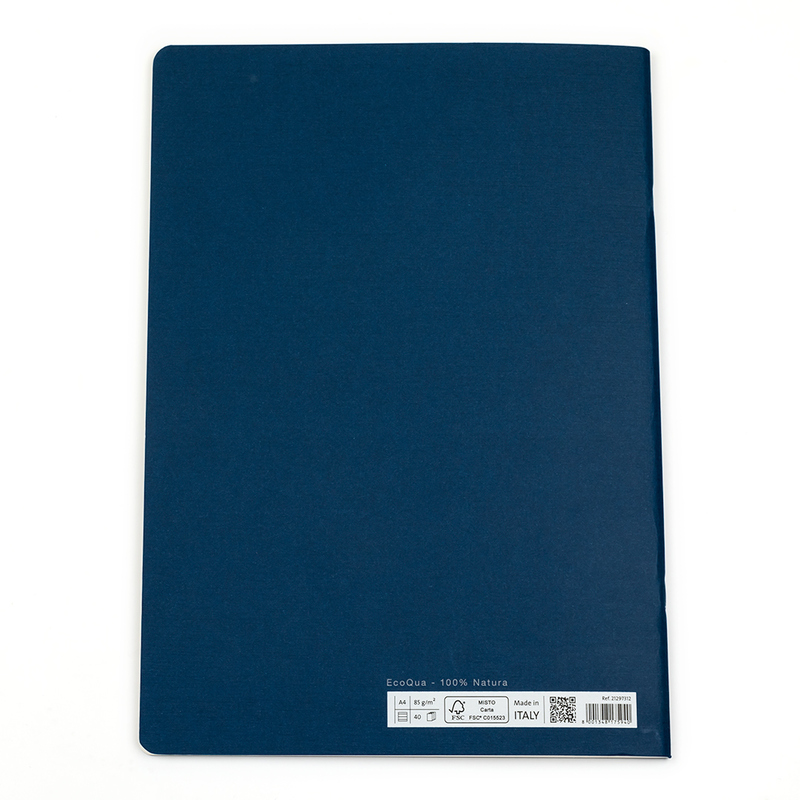 First and last sheets of a notebook are not lined and can be used for titles and table of contents. Promotional information is printed at the corner of the last page. 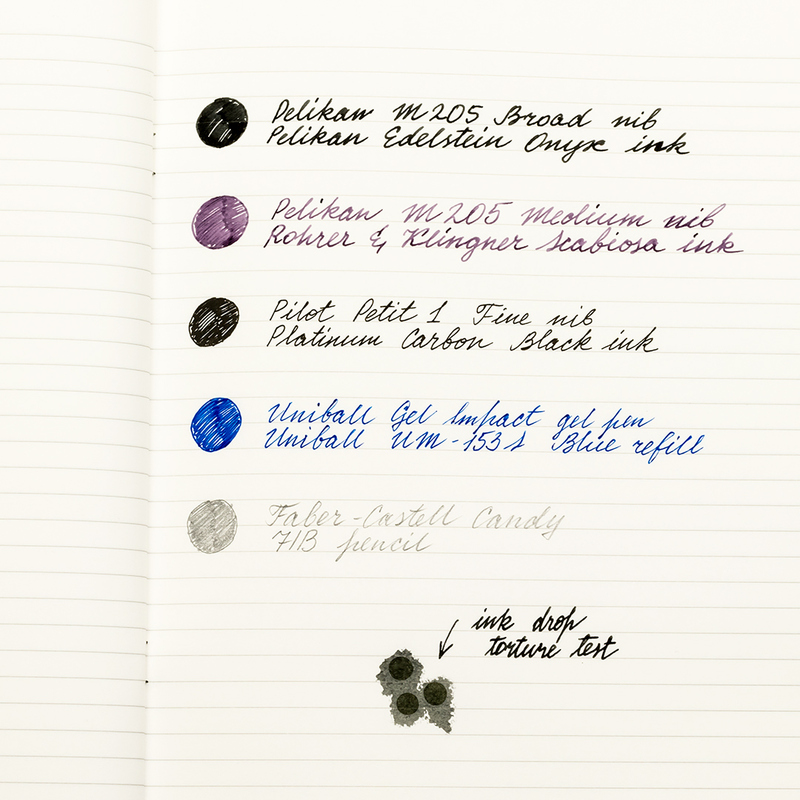 Fabriano Bioprima Book 85 g/m² paper was tested with many different fountain pens and inks and showed great results. It shows no “feathering”, very little “show through” or so called “ghosting”, and doesn’t “bleed” through the page with the most fountain pens and inks. However, some occasional “bleeding” is possible when using dip pens (classic or glass) with thinner fountain pen inks. Some very aggressive inks notorious for “bleeding” could also behave badly on this paper.